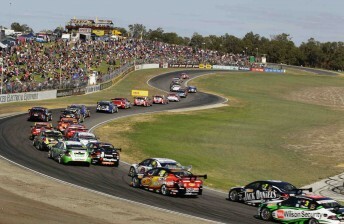 Round 3 of for our V8 Supercars Championship takes us out west too Barbagallo Raceway 50km North of Perth. This round is traditionally tough on tyres so lets see who can make them last. 1x 42 laps (100km) feature race, one compulsory pit stop including mandatory 4x tyres changed, grids based off race 1 results with top 6 reversed. Unfortunately will miss this round, which is a shame as I quite enjoy Barbagallo. Good luck all. A tyre ripper that's for sure!!! Anyone going for a 2 stop strategy in R2? Wifeys birthday, so won't be there tonight. Anyone going to try do to the sprint race without any stops? Cheers for last night guys, was some very good racing from what I saw. What a night, to forget!! Man did I make a meal of it all. What an awesome race that was! I managed to hang on to 5th place for the beginning of the sprint race but due to my car setup and me pushing too hard, the tyres were pretty much shot by mid race and I ended up tumbling down to 8th place before having a big slide and having to pit as my front left was completely done - resulting in 10th place. But thanks to Kevin for his awesome setup, my car was a lot easier on the rubber going into race 2 - where I really enjoyed a great scrap with BlackJack and Danman, going mirror to mirror and door to door from one corner to the other. Danman did an impressive job of preserving his tires, which paid off with a great finishing result too. 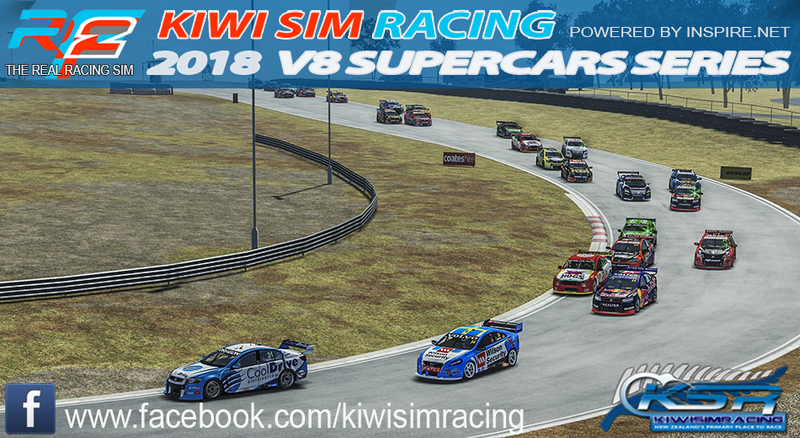 Can't wait for the next race, these V8s are epic fun!